I was recently contacted by the content director for the official Las Vegas website who happened to stumble upon my site and my reviews of numerous books on the Beatles. Since 2014 marks the 50th anniversary of the Beatles' 1964 arrival in America, there are numerous 50th anniversary celebrations going on throughout the year. One of these happens to be of the Beatles one and only live appearance in Las Vegas, which, along with many other Beatles-related activities in the city, can be read about here. In contacting me, she invited to write an article detailing how the Beatles have impacted me personally, which made me stop and reflect on it for quite a while. I've previously written a piece about them here on my site that gave a snapshot of their musical career for the uninitiated, and I've spent countless hours throughout the course of my life discussing every little detail pertaining to them to anyone who will listen, whether they be fellow fans or not. However, when presented with this challenge to write this article, I realized that I've never really written a cohesive piece detailing what the band means to me and why. The piece you're reading now is the result of this reflection, and I hope in advance that you enjoy it. A short while back, I wrote about my experiences growing up listening to the music from my parents' era and all of the great bands I was exposed to. The Beatles, of course, were among that group and while I would consider myself an obsessive and dedicated fan of the other bands from that era that I've been listening to my entire life, from the Rolling Stones, the Who, and the Kinks to Led Zeppelin, Jimi Hendrix, and Cream/Blind Faith/Derek and the Dominos (ie Clapton's great bands), the Beatles have always been the toppermost of the poppermost. As a kid, it was mainly the songs that grabbed me; almost all of them were instantly recognizable and hummable, and the words were fun to learn and sing along with. I also thought their general appearance on their album covers, in photographs, and on film was really interesting and unique. As I got older and began to understand more about music, I started to gain more of an appreciation for subtler things in the music, such as the songwriting, production, and sequencing and flow of the albums, and of course the great artwork and liner notes. However, I'd have to say that it was around the age of ten where the Beatles truly began to have a deep and profound impact on multiple areas of my life that lay beyond just the music and continues to this day. I'd always been musically inclined, but when I turned ten years old I really wanted to start making music on my own. I began playing trumpet in my school band, something I would continue for the next ten years, which led to my love of jazz and taught me how to read music and play with other musicians in an ensemble. I also began singing in the school chorus and learned a lot about singing and harmonizing with other voices. At the same time, I decided I wanted to play bass guitar because it was an instrument I had always gravitated toward when I'd listen to records. However, no one in the house owned a bass and my parents were understandably hesitant to sink money into an instrument that I may lose interest in shortly thereafter. There was a solution, however: my mother had an old Yamaha classical guitar that was sitting in a closet, so I picked that up and began picking out basslines while listening to my favorite records (in particular, I have a distinct memory of trying to suss out the bassline to "Dear Prudence" on the White Album). Eventually I started picking out chords and riffs and my lifelong journey as a guitar player was begun. 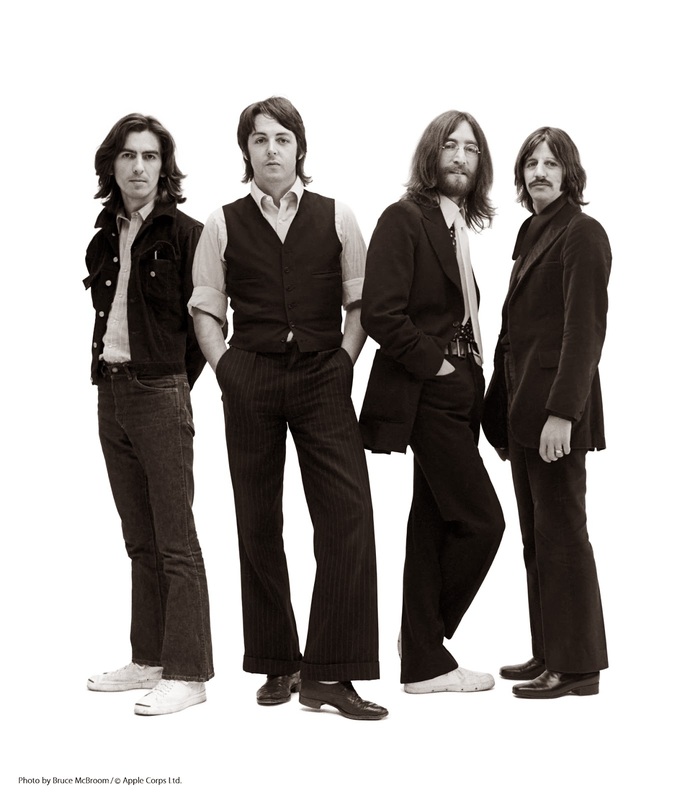 Without going into too much detail about my journey as a musician (that will be the subject of a future post), probably the biggest way in which the Beatles affected me musically is with their songwriting. I had, of course, read about the impact they'd had on the music world as the first self-contained band who wrote and played their own music, establishing a blueprint for musicians that has been followed to the present. When I started teaching myself how to play guitar, much of it was done by spending hours playing along to records and tapes and figuring out the chords and notes to every song (and not just Beatles albums). In doing this, however, I started to notice things about how the songs were constructed and how so many of the chord changes and modulations were so unique and not obvious on first listen. After several years of doing this, I plucked up the courage when I was around thirteen years old to start trying to write my own original songs. As with all beginning songwriters, these were clumsy and derivative attempts that have been consigned to the dustbin of history and I couldn't remember a single one if I tried. However, it was invaluable practice and songwriting is something I've continued to do throughout my life. When I was in my first band at sixteen, I had eventually stockpiled enough original songs that were pretty good that we began playing them. I'm proud to say, in fact, that several of the songs I wrote in the years when I was 16-20 years old are songs that we played at gigs back then and that I've since recorded on my own, and which many people even now, upon first hearing them, tell me are really good. So you can see, amongst all of the bands who have and continue to influence me, the Beatles had just a little bit more influence than all of the rest. When it comes to fashion, the Beatles had a huge influence on me as a kid and continue to as an adult. This may seem strange since they were a 1960s band, I grew up in the 1980s/90s, and it's now 2014, but it's true. The first place it started, naturally, was with the hair. I wanted a Beatle haircut so badly as a teenager, but my major problem was the fact that I was cursed with thick Greek hair that got very curly the longer it got. I was able to approximate a pretty good Beatle haircut through a LOT of combing, hairspray, and straightening gel. Luckily, I was able to grow facial hair pretty young (I started shaving around thirteen or fourteen years old) so I've always had long sideburns (I still do!) and the John Lennon Sgt. Pepper-era mustache is a particular favorite I've grown occasionally over the years (most recently this past November). In addition to the countless Beatles t-shirts and hats I wore throughout high school, I also adapted other parts of their look into my own style as a teenager: collarless button down shirts, turtlenecks, drainpipe jeans, dress boots (sadly, no Beatle boots...I desperately want a pair of these and someday I will get them), waistcoats, ties and suits, and so on. It led to a bit of teasing and funny looks from my peers but by the end of high school, when all things 1960s were making a comeback with my generation, I was constantly complimented on my Beatles-derived fashion sense. Even now as an adult, I adopt many of those aspects into my style, as well as my love for military-themed shirts and jackets (see: Sgt. Pepper). Also, the glasses I wear are Beatles influenced, being John Lennon style (and branded) glasses, as seen in the photo of me wearing them in this post from last year. Lastly, on a more profound and personal level, all of the factors mentioned above have coalesced, along with something bigger that I can't quite put into words, into an imprint on my very being that takes into account their music and imagery, but also a whole lot more than that. As Ringo and Paul both stated in the Anthology documentary back in 1995 (which was my own bit of Beatlemania during the years of 1994-96 when the Anthology albums and documentary were released), they (and I) are really proud that the overwhelming message in their music is that of love. Whenever I'm in a bad mood, depressed, or just having an off day, listening to Beatles music never fails to cheer me right up. In addition, many of their lyrics, from their earliest songs all the way through to the end of their career, can speak to us on so many levels; not only does it often feel like they understand what you're going through, but their music helps me to understand what I'm feeling at that particular moment. Their music has not only been the soundtrack for many of the good times in my life, but has also helped me immensely during some bad times (part of the reason "Hey Jude" is one of my favorite songs of all time is because of how comforting and reassuring it is). A shared love of the Beatles has led to some really great moments and memories with my wife, parents, family, and friends, and my kids are now becoming big Beatles fans which is really nice for me to see. All four of them love listening to the music, they know most of the words to their favorite songs, and can tell which Beatle sings each song. It's very rewarding for me to see my children develop a love for the Beatles music without them giving any thought to the fact that it was made five decades ago. To me, that's a true testament to the timelessness and magic of the Beatles' music. I can honestly say that the Beatles have a daily impact on my life, from the glasses I wear and my Beatles iPhone case, to listening to their music, reading (and reviewing) books about them, and more. Their music is a part of my being, musically and spiritually...I'm not one typically given for this type of "New Age" talk, and if you know me personally you'll especially know this to be true, but with the Beatles I make this exception because they have truly touched me on a deeper level than any other band. I'm sure those of you who feel the same way as I do can understand what I mean, and if you don't, all I ask is that you humor me and believe me when I tell you that it's true. The Beatles had and continue to have an impact on the world beyond their fantastic music, and I can honestly say they've had the same impact on me and my life, and that it's been nothing but positive. I'm not surprised that they are still as relevant and beloved more than fifty years after they burst onto the world stage and I know without a doubt they will endure for the next fifty years and beyond. The most recent album from Graham is a noisy, power pop-fest that is in direct contrast to his prior album (The Spinning Top) which was mostly folk/acoustic songs. There are some great cuts on here and while there are only 10 songs, most are in the 4-6 minute range and are some of the longest of his career. Beady Eye's new album from 2013 is a much stronger and more consistent record than their debut. While it does veer into standard pub-rock fare and they'll never be considered great songwriters, it's still enjoyable. The new Suede remasters from the past couple of years resulted in reissues of their albums with vastly improved sound/mixes (FINALLY you can hear the bass and drums!) as well as several rarities and B-sides on the bonus discs. Of particular note are the unedited, extended versions of "The Wild Ones" and "The Asphalt World" from their masterpiece, Dog Man Star. Continuing on from Day 46, the subsequent four shows from Zeppelin's five-night stand at Earl's Court in 1975 are next. The sound quality and performance improves with each successive night, and the final two nights are captured in glorious soundboard tapes. The fourth night is typically considered to be the best of the entire run and my opinion hasn't changed in the past 20 years to disagree. The final Earl's Court show from this batch is from Genesis in 1977, which is the final year in their career where have any serious interest in them. It's a great mix of cuts from their two post-Gabriel albums and older cuts in really nice sound quality. The Steppenwolf album is alive album from 1967 before they became famous and is very good; there's is a great early version of the Pusher that clocks in at twenty-two minutes! The Allman Brothers album is a classic, sadly released after the sudden and tragic death of founding brother Duane Allman. Finally, a solo acoustic live album from ex-Husker Du Grant Hart has him playing Du songs as well as his solo stuff and is a pretty nice album. The Smiths were one of the most influential British rock bands of the 1980s and beyond and their impact on the music scene in the UK and US has extended far beyond their short lifetime as a band. While there have been many books written about them, most seem to be frustratingly incomplete and tend to focus more on Morrissey and Johnny Marr or simply Morrissey himself. There are some essential books that have been around for some time, including Johnny Rogan's seminal biography "Morrisey and Marr: The Severed Alliance," Simon Goddard's "The Songs That Saved Your Life," and of course Morrissey's own memoir which was published late in 2013 and which I reviewed here. However, Rogan's book tends to focus more on the Morrissey-Marr partnership and the machinations of the band, while Goddard's book is an excellent scholarly look at simply the music itself. And Morrissey's book? Well, I can't say much more than it's uniquely his and of course recounts his life from solely his perspective. 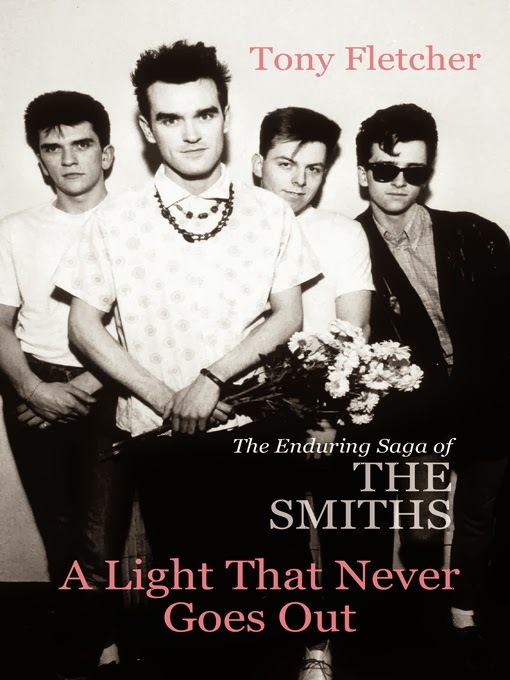 What "A Light That Never Goes Out" offers is the definitive biography of The Smiths as the four-membered band they were, although as the author adroitly states, "for a band that tried to come off as a gang, some members were more equal than others." Tony Fletcher has written many excellent musician biographies, including essential books on Keith Moon and R.E.M. (the latter which I have reviewed previously here). In the introduction, he gives an overview of previous books on the Smiths (as I have also done above) and states his intention to focus on the band, their music, history, and relationships and not focus inordinately on Morrissey (and to a lesser extent, Marr) more than is necessary to the exclusion of Andy Rourke and Mike Joyce. The result is a book that takes into account and rightfully celebrates the considerable and essential contributions of Rourke and Joyce to the sound and image of the Smiths alongside those of Morrissey and Marr. Similar to Mark Lewisohn's new Beatles biography (which I've reviewed here), Fletcher begins the book by tracing the familial roots of the Smiths, which just like the Beatles, come originally from Ireland. A common thread connecting all four members of the Smiths is their Irish roots, which in the case of all except for Andy Rourke, had both their mothers and fathers as Irish immigrants to Manchester (in Rourke's case, his mother's family was English and his father was Irish). All of them, but especially Morrissey, grew up with a lot of extended family living near them and the impact of being first-generation Irish-English was a deeply rooted part of their identity, especially when dealing with anti-Irish sentiment while they were growing up in Manchester. Parallel to the mass Irish immigration to Manchester and the north of England in the late 19th and early 20th centuries, Fletcher also gives a history of the city during this time period in order to show how growing up in Manchester had a profound and unique effect on who the Smiths turned out to be as people. Working his way through their childhood and formative musical experiences, the author paints a picture of four very different individuals with disparate tastes and abilities and shows how they would eventually come together to form the band in 1982. Morrissey's youth has been described in his memoir, but here Fletcher does a good job to show that while intensely private, he was not the complete recluse he's been made out to be over the past thirty years (this myth oftentimes perpetuated by Morrissey himself). Marr and Rourke were childhood friends who had been in bands together prior to the Smiths, while Mike Joyce was a punk drummer who would seem to be the odd man out given the other three's musical tastes, yet he ended up being the perfect fit. The story of the Smiths naturally has to have a strong focus on the songwriting partnership of Morrissey and Marr that was at the core of the band and the reason they formed in the first place. The story of how the supremely talented Marr boldly knocked on Morrissey's door and "rescued" (in Moz's own words) him from a meaningless existence as they instantly bonded over their shared love of 45s and 1960s girl groups is retold, but what was new information to me is that they had briefly been introduced some time before at a Patti Smith concert. I had always thought they had never properly met prior to their mutual friend bringing Marr to Moz's house; here the parallels to the Beatles (where new information in Lewisohn's book suggests that Lennon and McCartney had met prior to the church fete in July 1957) are again eerie in their similarities. Almost immediately, they set their sights on forming a band and bringing back the magic of 1960s British rock centering around the songs that they began composing together. After various transient members passed through, they settled on a lineup that included Joyce on drums and Rourke on bass. Here again, Fletcher gives a bit of a history lesson showing how the indie scene grew and developed in England in general and Manchester in particular over the course of the 1970s and early 80s and how it eventually led the newly formed Smiths to sign to the legendary London-based label Rough Trade. What was remarkable was how fast the band got big in their first year; after only a handful of gigs and a couple of 45 singles, they were one of the most popular and acclaimed bands in the UK and already had set their sights on the US and elsewhere. Among matters that would come back to haunt them, however, were their lack of a true manager after original mentor Joe Moss left them in late 1983 in order to focus on his family, and the royalty split. Understandably, as the songwriters, Morrissey and Marr stood to earn more from publishing royalties than Rourke and Joyce, but by the band as an entity existing on paper as only Morrissey and Marr and excluding the other two members, they were also cut out of the record royalties and would each only earn a paltry 10% each from the remaining income, while Marr and Moz each would earn 40%. Among the multiple parallels with their American counterparts R.E.M. (not least of which because Fletcher also wrote that band's definitive biography), including having the striking similarities of a mercurial and sexually ambiguous lead singer with a distinct vocal style and a way with words, a uniquely self-taught guitarist whose style flew in the face of contemporary convention, a supremely talented and inventive bass player whose melodic bass lines served more as a counterpoint to what the guitarist was doing, and an often overlooked but rock solid and irreplaceable drummer, they were complete opposites insomuch that whereas R.E.M. chose to split the compositional credit and spoils equally amongst their four members and had all been through the many years of slogging to the top together, the Smiths' rapid and relatively easy ascension gave them no such shared sense of unity beyond their enjoying each other's company and the great music they made together, never mind that from day one, Morrisseey and Marr were the sole composers. As such, this uneven distribution, as well as their almost farcical management situation, would be the main contributors to their ultimate demise. The book follows the trajectory of the Smiths' career from that white hot start in 1983 through all of their triumphs and their several (usually minor) hiccups along the way. Drawing on reference material from the 1980s as well as more contemporary sources, including comments from those around the band, such as their crew members, the people at Record Trade (including owner Geoff Travis, who has been the target of Morrissey's bile all the way to the present day and who was summarily eviscerated in Moz's memoir last year), and new interviews from 2011 from the two Smiths who agreed to talk to the author (Johnny Marr and Andy Rourke), Fletcher is able to give the most detailed insider's account of the band's saga. We are given probably the most detailed behind the scenes look into the nature of Morissey and Marr's deep and mutual friendship and how it developed over time before becoming irreparably strained and damaged by the end of the band's life. The picture painted of the pair, and of Morrissey in particular, is how young and inexperienced they were, but also how lacking they were in interpersonal skills as well as in handling the trappings of their rapid fame. While Marr was very social and took on a ridiculous workload of writing, recording, producing, and managing that led to the mental, emotional, and physical exhaustion that eventually took its toll on him, as well as his desire to always progress musically and avoid self-parody, Morrissey was just as obstinate and callous as a young man as the way he's perceived in 2014. While the entire band's ethos and desire to maintain their indie credibility was admirable, it also led to multiple missed opportunities and damaged relationships along the way. Their refusal to make music videos, honor numerous tour and interview commitments (usually due to Morrissey refusing to show up when he didn't feel like it), pay their bills, and their insistence on saturating the market with new non-album singles while their recently released albums hadn't yet fulfilled their chart lifespans, while admirable, all led to blown chances that could have led to the band get even bigger on a truly global scale. At the core of all of this, though, is the fact that, apart from the first year of the band's existence, they basically had no management. There were various figures who would come into the picture and act as their manager, but they were never paid and when they would insist on getting a yes or no confirmation on whether they were the official manager, they were summarily fired. Mainly, this was due to Morrissey refusing to allow anyone any input into the band's direction and also his paranoia that anyone who got close to Marr, Rourke, or Joyce was a threat to him. The irony is that he never saw that his aloof and intensely private lifestyle was an obstacle to anyone getting close enough to him to gain his trust, and believe me when I say that it is clear from the book that every managerial candidate tried to do so. Eventually, in 1986 when the band were at their peak commercially and critically, and Marr was burnt out and ready for an official manager who they eventually appointed, the cracks were big enough that this began to drive the final wedge between the two. Once Morrissey recruited Joyce and Rourke, who he'd never been close with, to his side after panicking when Marr announced he wanted to take a holiday to recharge his batteries after their final album, Strangeways Here We Come was complete, paranoia took hold on Marr's part and increased passive-aggressive behavior (even worse than usual) from Morrissey led to the final split. The author does an excellent job making sure the music, on record and on stage, gets its deserved chance to shine throughout the book, and his analysis of the songs, the insight into their recording processes, and how they fit into the context of British and American society at the time is excellent. Focusing on how Marr brought 1960s pop and rock sensibilities back to music in 1980s Britain via his writing and playing, and how Morrissey used his own lonely and introverted existence to tap into the psyche of his audience in a way that just about everyone could relate to showed how, like so many great bands, the Smiths were the perfect band at the perfect time in the perfect place. The fact that their appeal was just as great, if not greater, in the US than in the UK makes it all the more shameful that they split on the eve of beginning their major label deal with EMI. It has to be said, however, that their behavior toward Rough Trade, who had basically gone all in financially and promotionally for the Smiths, was pretty reprehensible. The nadir had to be when, in the middle of the binding contract they'd signed in 1982, they insisted on being allowed to leave the label, blaming poor and inconsistent chart performance of their singles on Rough Trade. This, after having a #1 and a #2 album, not to mention numerous top 20 (and some top 10) singles, and without any self-reflection that perhaps not every song they released was an instant classic. As much as their indie credentials were admirable, they also come off as incredibly demanding and entitled, which is a bit ridiculous for a young and new band that really didn't have the legs to stand on at that point in their career: this wasn't exactly R.E.M. or Husker Du a decade and seven top albums into their careers when they left their smaller indie labels (both bands also left at the end of their contracts and didn't try to leave in the middle of them!). However, both the author and Johnny Marr make a point to reiterate that the band were ridiculously young during all of this (Morrissey, the oldest member of the band, was 28 when they split, while Marr and Joyce were 24 and Rourke 23). The fact that they basically functioned as a self-determining band of mates, but on the scale of a major international act and the biggest UK band of their generation is simultaneously ridiculous and awesome (in the literal sense of the word). If I have one complaint with the book, and it's a minor one, it's that it doesn't get into as much of the post-Smiths years, especially those immediately after the split, as I would've liked. The author states in the introduction that he did not really intend to delve much into that, especially the Mike Joyce lawsuit, so it is not a surprise when the book ends without going into too much detail on that matter. To Fletcher's credit, he does discuss in detail the bizarre weeks after the break-up when the other three Smiths actually tried to recruit a new guitarist to replace Marr, as well as the fact that they (along with one-time fifth member Craig Gannon) actually ended up serving as Moz's backing band during the first couple of years of his solo career (which he began immediately after the split, somewhat strangely for someone who had been desperate to hold onto the fraying shreds of the band in mid-to-late 1987). I would have liked a bit more discussion of the band's feelings towards each other in the ensuing years and their reflections on the Smiths, but I can also see how focusing on the messy break-up could detract from the telling of the Smiths saga. What I did like is that the author presented everyone pretty fairly, not taking Morrissey or Marr's side: for all that we know about Moz's exasperating and downright callous behavior toward many of his fellow human beings, Marr's reputation as the nearly blameless one in the entire Smiths story is taken down several pegs in this book, and rightfully so; to his credit, Marr looks back on certain matters with appropriate regret and takes responsibility for his behavior. And again, it must be pointed out, he was only in his early 20s during that entire period. Taking that into account, I would say he handled himself pretty well. Finally, this book is one of the few that gives due credit and recognition to the contributions of Rourke and Joyce, both of whom are too often overlooked or dismissed as ancillary to the Smiths' success. Both were musically and spiritually as integral to the sound, image, and personality of the band as Moz and Marr, and the Smiths wouldn't have been nearly the same (or nearly as good) without them. It was nice to read that, while Morrissey continues to treat them as little more than simpletons who lucked into being in the Smiths, Marr is able to look back and realize that he and Moz treated the rhythm section quite poorly in many ways and would do it differently if he could go back and do so. Best of all, he continues to have a strong friendship with Andy Rourke, who has been a lifetime friend to him. While the aforementioned books by Rogan and Goddard remain essential reading for any Smiths fan, this book absolutely joins them on that lofty perch, and in its fair and across-the-board telling of the Smiths' story, both musically, personally, and business-wise, seems to amalgamate those two prior books and indeed tell the definitive story of this legendary and unique band. "Ugh, I hated chemistry when I was in school." Ask me how many times I've heard that and I'll counter by asking you how many times you've seen the sun rise. Them: "So, what do you do for work?" Them: "Ugh, I hated chemistry when I was in school, especially organic." Me: "I'm actually an organic chemist." Them: "Wow, you must be really smart...better you than me!" So let me get that out of the way right now: yes, I am a chemist, and yes, in fact, I'm an organic chemist. I earned my BS degree in chemistry in 2001, my PhD in organic chemistry in 2006, and did a postdoctoral fellowship in Physical/Organic chemistry until 2008 before finally getting a job at the age of 28. It was a long road that took a lot of time, effort, and dedication, not to mention a LOT of support from my family and friends, in order to make it out the other end. While I overall had a great experience through all of my schooling and have no regrets, I will admit that it was difficult watching all of my friends who got jobs right out of college (mainly in business, engineering, or computer programming) earn big bucks by the time I was getting out of school and getting my first real job at 28. Even now, at 34, it's easy to feel several years behind since I've only been in the workforce six years to my friends' ten, eleven, twelve, or more years. I suspect doctors finishing up their residencies feel the same way, although their earning power goes up astronomically once they're practicing, while the ratio of time spent in graduate school to earning potential when you start working as a chemist is still skewed the wrong way for most scientists until they hit their forties. However, that's the reality and there's no changing it any time soon, if ever, so best to end any complaints right here. That being said, I enjoy being a scientist in general and being a chemist in particular. I get asked quite often what it is exactly that I do when I'm at work, so if you've ever wondered, keep reading. Bear with me, because as I said in this piece from my website, from which I've adapted the current article you're reading and which is a bit more personal and less science-based, what I'm doing now is completely removed from what I've done in the past both during my graduate school/postdoc training as well as my previous job. My background is fairly unique in that I've always considered myself a synthetic physical organic chemist. My area of emphasis is in materials chemistry. Historically, organic chemistry has been roughly divided into two camps: the purely synthetic organic, which is involved with the synthesis of new molecules, mainly for pharmaceutical and biological applications, and physical organic, which is more a melding of physical chemistry and organic chemistry (hence the name) and concerned with studying fundamental properties and theories as to the nature of chemical bonds (ie bond strength and strain, bond angles, etc), reaction kinetics, chemical reactivity, activation energy of reactions, and so on. As the years have gone on, however, there has been a blurring of the distinctions between the two, especially with the emergence of polymers in the last fifty years, and chemistry has taken on a whole host of other aspects, most notably the entirely new area of materials chemistry. Materials chemistry is basically what materials science as a discipline is, but applying all branches of chemistry to the task. 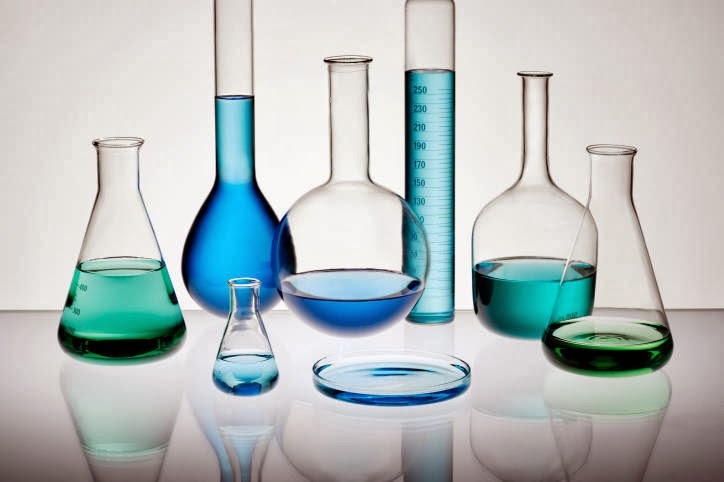 There is a melding of organic, inorganic, physical, and analytical chemistry into one larger discipline that is materials chemistry, concerned with the development, study, and understanding of new materials as brought to fruition using chemistry. Thus, while many of my fellow organic chemistry colleagues in graduate school chose to work in groups that either did purely synthetic or physical organic chemistry, I chose to work in a synthetic group that focused on materials chemistry. While I still learned all of the same synthetic techniques and instrumentation that my natural products brethren did, instead of making biologically interesting and active molecules, I was designing and making molecules that were of interest for the electronic and physical material properties they possessed (ie ductility, strength, flexibility, etc) rather than any biological activity. We called these "non-natural products" within the group. Additionally, we spent a lot of time studying the properties of these molecules using physical organic techniques, which led us to refine and tailor future molecules via studying this structure-activity relationship. We were still using the same synthetic methodology approach as the natural products folks...we were just doing it for different ends. The purification and characterization techniques we all used were the same, from NMR, IR, UV-Vis and HPLC to column chromatography, TLC, distillations, and recrystallization. I delved further into materials chemistry with my postdoctoral training, which involved the same synthetic approach to interesting molecules with materials applications, this time organic photovoltaic solar cells as well as developing improved MRI contrast agents from carbon-rich nanoparticles (who says materials chemistry can't have biological applications?). Here, I learned even more techniques to add to my chemical skill set, such as SEM, electrochemistry, surface chemistry techniques, and organometallic coordination chemistry. It was the first time I was able to publish numerous journal papers, write research proposals, and meet and interact with the groups whom we collaborated with in both academia and industry. It was invaluable experience that led me into the world of industrial chemistry when I began my career. So, you might be asking, what does an industrial chemist do every day? How different is it from being in graduate school or working in an academic setting? Keep in mind that I'm working at my second company six years into my career, so there are some things I do now that I didn't do before, and vice versa. For clarity's sake, I'm going to describe it all as if I'm currently doing everything I describe. As an industrial chemist, I have an assigned project, just like anyone does while they're in graduate school. And just like being a graduate student, I usually have more than one project going on at the same time; one will be the major project of highest importance, while the others will tend to be smaller side projects of varying priority. Each day begins with a list of things I need to get done on the project, but of course that list is always being added to as things come up. For me, an average day is typically split 60:40: 60% of my time is spent in the lab doing hands-on experimental work or instrumental analysis while 40% is spent either at my desk working up data, creating presentations, or reading papers/Internet research. This can vary depending on deadlines/changing priorities or anything else that may arise...some days I spend almost exclusively in the lab, while others I may spend entirely at my desk making PowerPoint slides and working up data. However, the 60:40 split is pretty typical and most days that's how the work is divided. I started out as a materials chemist doing much the same type of work that I did in graduate school...at my current job, I'm now applying that chemical knowledge as more of a chemical/process engineer and I'm now concerned with electroplating nanostructured metal coatings rather than synthesizing organic nanoparticles. Laboratory work involves running the actual experiments and then analyzing the output. This analysis is done on a variety of advanced instrumentation that we typically have in-house; any instrumentation we don't have can be accessed either through our various university contacts or third-party testing labs. All employees are trained on how to use and maintain the instruments, so when I need an analysis done, I can go and do it myself. Afterward, the data is collected and worked up in the appropriate manner, whether this is in Excel, some other software, or simply recorded in the lab notebook (where EVERYTHING I do, every day, has to be written down). Usually I have to hammer the data into shape and figure out what it's telling me, and then I need to make a presentation out of it. My group has weekly meetings where we discuss everybody's results and offer each other suggestions for moving forward, and periodically (usually monthly) we have meetings with upper management where we present our data and the status of the program as we move to commercialize it. A large part of the learning curve when I started off as an industrial chemist was how much the business and financial aspects affect the science we do. Unlike in academia where the end result is (hopefully) a journal article, in industry the motive is file IP (intellectual property, ie patents) and to make profit and grow the company; we also, of course, want to have a positive benefit to society with the work we do. Because of all of these factors, those of us on the technical side of the company are in regular discussion with our business and marketing people and quite often, it's the market and profit potential that drives projects. This can lead to projects getting started and stopped at the drop of a hat, which can be frustrating but ensures that the working environment is (usually) never predictable or boring! However, I've enjoyed this aspect of the work as it's made me consider how to make whatever I'm currently working on more cost effective or economically viable to both our customers and their end users as well as how we can make it more profitable for us. Another aspect I've enjoyed is going to customer production sites for work. First, it's offered the chance to travel a bit, and while I don't like to be away from my wife and kids for long stretches at a time, it's also been nice to see different parts of the country (and soon, the world). It's also been a great learning experience going to these production facilities and working in a hands-on manner on our process. The feeling of seeing product come off the end of the line and knowing that your hard work and dedication went into producing it is one of the most rewarding feelings I've ever had as a scientist. Troubleshooting, having to think on your feet, and needing make changes on the fly under pressure while under time and profit constraints at a production site can be quite stressful but it also leads to the best kind of learning. It is experience and knowledge that cannot be obtained or approximated in a lab or classroom setting...you have to go out into the field and do it directly in order to learn it; think of it as the ultimate in real-world experience for a scientist. So without going into minute detail, I've tried to give a rough idea of what my experiences thus far have been as an industrial chemist. While there are stretches of time where the research aspect in particular can get very repetitive, in general it's a very fast-paced and unpredictable environment where learning to adapt at a moment's notice is a crucial skill to have. There is a need to apply business and marketing consideration when thinking about the science, and seemingly unrelated skills, including interpersonal interactions, cross-functional teamwork, and being able to problem solve at the drop of a hat are just as important as having a solid and expansive technical knowledge base. I've spent seventeen years, which at the time of this writing is exactly half of my life, practicing chemistry; it's led me down a very interesting and unusual path that I could never have predicted when I started my professional career in 2008, let alone when I started college back in 1997. I have no idea where it will take me in the future, but I do know that it will probably be somewhere I have no way of predicting at present and that I will continue to gain an incredible amount of new knowledge along the way. Bobby Whitlock has had quite the career as a musician, full of ups and downs. He was in Delaney and Bonnie's band and toured with them and a couple of sidemen named Eric Clapton and George Harrison. He was part of George's house band for his ground-breaking first post-Beatles album All Things Must Pass and Eric Clapton's first solo album. He was a co-founder and co-writer, again with Eric Clapton, for one of the greatest bands of all time, Derek and the Dominos, who flamed out far too soon after their one and only masterpiece, Layla and Other Assorted Love Songs. He played on sessions for John Lennon, the Rolling Stones, and many others. He lived in both Ringo Starr's and Keith Moon's old houses. He's been a songwriter whose music has been recorded by numerous artists, including Ray Charles, been through serious drug addictions and failed marriages, and he continues to write and perform with his wife and musical partner, Coco Carmel. Here, he finally tells his life story and the result is true to the subtitle, "A Rock n' Roll Autobiography." In the introduction to this book, Bobby mentions that he never had any intention of writing a book. The impetus for the whole thing was when he and his wife were answering some fan questions on the Steve Hoffman music forums (I'm a regular poster on there myself). The questions kept coming and eventually Bobby was asked if he was going to write a book about his life. Realizing that he was basically starting to do just that on the forum, he decided to make a proper go of it and his resulting book is the subject of this review. In a slightly different and enjoyable way, this book reads less like a linear story of the author's life from birth to this event, that event, and so on, and instead almost seems like a collection of vignettes or journal entries about specific and important times in his life. That's not to say that the book jumps around, as the chapters containing each of these sections are arranged in chronological order, but the overall effect makes for a very intimate and engaging read; I felt like I was sitting with Bobby having a beer and listening to him tell these stories as I was reading through the book. Starting with his birth and childhood, it's obvious that from the moment he entered this world, Bobby Whitlock was a very musically talented person. However, what is also very obvious is that he was not brought into a good family situation: even though he was raised by a family who overall were very loving, he, his mother, and his siblings were subject to the violent rages of his father and he was raised in almost crippling poverty for many years. As Bobby points out in the book, the irony of his father working as a preacher and teaching the Bible's doctrine of love and forgiveness while physically and emotionally abusing his wife and children in oftentimes horrific ways was never lost on him, even at a young age. Finding an escape in music, Bobby was smitten by early rock and roll like Elvis and Chuck Berry and the sounds of country and soul music emanating from Stax Records and Motown. By the time he finished high school at 18, he was living on his own in Tennessee and began trying to make it as a musician, playing in various bands and augmenting his natural gifts of singing and guitar with newly found skills as an organ/piano player. Coming to the attention of the folks at Stax Records, he became part of a house band there and befriended such legends as Steve Cropper, Duck Dunn, Booker T., and others before eventually coming to the attention of the husband and wife team of Delaney and Bonnie Bramlett. Moving to California with the perpetually arguing couple, they formed a band and became a popular concert draw in the late 1960s, playing their brand of soul and R&B and eventually meeting up with Eric Clapton via an opening gig for his supergroup Blind Faith. Clapton eventually jumped ship and joined the Bramlett's touring show, which also picked up George Harrison for the European and UK gigs when he was seeking a respite from the final days of the Beatles. After Clapton used most of the Bramlett's band to record his debut solo album, Eric poached Bobby, drummer Jim Gordon, and bassist Carl Radle to become the house band for George Harrison's debut solo album, the epic All Things Must Pass. After this, Eric invited Bobby to live in his house in England, where they began writing songs together and decided to form a new band themselves, bringing back Radle and Gordon. Using the moniker Derek and the Dominos, they embarked on a series of club and theatre tours of the UK and USA and recorded the Layla album to great critical acclaim. However, Clapton's worsening drug addiction and tensions within the band (mainly because of Gordon) split the band apart before they could scale even greater heights. From here, Bobby's life takes an almost comically tragic cycle of high highs and low lows, from further successes with solo albums, the birth of his two children, and high profile gigs as a performer and television presenter, to two failed marriages, crippling addictions, and financial difficulties. However, through it all, Bobby seemed to keep a positive attitude and attributes his rediscovered faith, along with meeting his current wife Coco, as the two things that changed his life for the better and led to his current inner peace. Upon becoming friends with Coco, she and Bobby were wrongly accused of having an affair with each other, which ended up blowing apart their respective marriages and leading to their divorces. This financially crippled Bobby, leading him to sell off all of his rights to the Derek and the Dominos income, and the resulting drama is almost too ridiculous to be believed; in particular, the tale of his nighttime race for the Alabama border before state troopers could find him to have him committed as per his crazy ex-wife's request would be funny if it weren't true! Eventually settling in Austin and earning a living playing gigs around town, he and Coco got married and settled into a musical and personal partnership that seems to be strong and fulfilling for both of them, and overall the sense I get from the book is that, despite it all, Bobby is in a good place now and is happy with how things turned out. After getting knocked down, this Domino got right back up and got on with life! A nice thread running throughout the book is his lifelong friendship with Eric Clapton, which after the Domino's split got a little messy at times but never wavered. Bobby made several attempts to get Eric off of heroin and help get his career back on track in the early 1970s, and while there have been some long spells in between when they've seen each other, they always seem to have been looking out for each other. Eric joined Bobby for a televised performance of their classic song "Bell Bottom Blues" in 2000, and after meeting backstage after a Clapton gig in the late 2000s, Eric bought back Bobby's rights to the Layla album and gave them to him. I won't give it away here, but the final lines of the book touch on their friendship and are quite touching. While reading this book, it was very powerful how candid and honest Bobby was about his emotions, whether it was how he felt being abused by his father (toward whom he was still much more forgiving than I could have ever been), embarrassing moments, his passion for fast cars and music, and his love for his children. When he explained how much he loved his kids and how he would be the father to them that he never had himself, it was very touching. It was hard not to feel for Bobby when he described the rough patches he'd gone through, but this man is a survivor and it's clear that by the final page, he's finally found peace in life. The book is accompanied by many personal photographs, including a couple from one of the earliest Derek and the Dominos gigs in London. There are also tales of his friendships and adventures with the Rolling Stones, Ringo Starr, John Lennon, Keith Moon, the Allman Brothers band, Willie Nelson, and several other notable characters from that era. 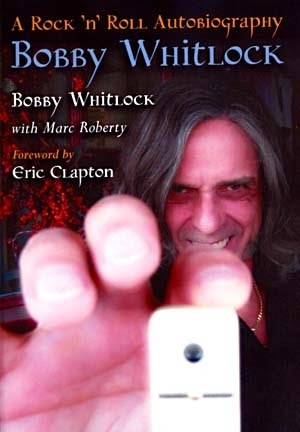 Bobby Whitlock mentioned earlier in the book that in his younger days he wasn't so much into rock n' roll as he was into soul, country, and R&B, but in his interesting and satisfying memoir, he does show that he ended up having a very "rock n' roll" life. Just a short post alerting you to a new website that launched at the beginning of this month called Head Stuff. It's a really great site that has articles on all sorts of topics, from science and technology to music, film, literature, and everything in between. There are a lot of very interesting articles on there by a variety of different writers, including yours truly! I've contributed several articles over there on a variety of topics and will continue to do so. Go check it out and spread the word! Wrapping up the "D's" and moving on to the "E's!" Wow, we're up to Part 6 now! That means that after working on your book through the previous five parts, you're ready to start thinking about how your book is going to be released so that everyone can read what you've written. 1) What is your target market? This goes to the core of your entire book: what type of book is it? Is it fiction or non-fiction? Biography? History? Critical analysis? Reference? You need to really think about what category you would put your book into and how niche it is. For instance, if you've written a novel about intergalactic time-traveling space pirates, your book is obviously in the sci-fi/fantasy realm of fiction, but could have interest to all readers of fiction (and many who don't usually read fiction depending on how good it is). However, if you use my books on Blur as an example, those are much more niche; beyond dedicated and serious fans of the band, it probably won't have too much appeal to anyone else except maybe other music addicts who might find it interesting. 2) Based on your target market, which publishing approach is best for you? That question is the heart of the entire mater. Taking into consideration your honest assessment of your book's target market and estimating its appeal (its "nicheness," if you will), you need to now decide which publishing channel is right for you. This is where your entire endeavor can really get bogged down if you're not careful. I'll share my experiences with you in a little bit, but first I'll give a general overview of each approach. This is what most of us think of when we think of book publishing; one of the countless large publishing houses, like Random House, Little Brown and Co., Harper Collins, and so on. This approach is best if you feel that you have a book that has fairly mass appeal or is of a quality that has a realistic shot of getting picked up by a large publisher. Again, this is where you need to dig deep inside and make sure you're being completely honest with yourself regarding your book. Let me say upfront that this is the most difficult path to take to getting published, and you should prepare yourself for a LOT of flat-out rejections, most often at the "not interested" stage in response to your initial emails/phone calls. It's damn near impossible for most new/unknown writers to get their foot in the door with a large publisher, and certainly a monumental task to get them interested enough to take a chance on your book. There are two ways to tackle this if you decide it's the way you want to go. The first and most common way is to hire a literary agent who will use their connections in the industry and do the legwork for you. However, this costs money, takes a lot of time, and there is still no guarantee that you will get interest from a publisher. Just because the agent can pitch your book to a publisher doesn't mean that the publisher will want it. This, again, is where the quality of your work and having some sort of name/reputation built up beforehand is almost a necessity. - A 1-2 paragraph outline of my book, talking up its major selling points. Quite a few of the publishers that I contacted were interested enough (especially since I had the cachet of my first book under my belt as evidence of credibility) that they wanted to see the packet. One publisher wanted to see my entire manuscript and another wanted to see several chapters. In both cases I ended up being politely turned down: one company probably rightfully determined that, since they were a US-based company, the readership for a book on Blur was too niche and would do better in the UK and Europe (where this company didn't have as strong a presence). The other company told me that given the readership base I'd built up with the first book, I'd end up losing money were I to go with them because all of the costs they'd incur with the book, from publishing to marketing, would leave less of the profits for me. The rest of the companies that wanted to see my materials simply never got back to me. The worst part of this entire process was the waiting, which ranged from days to weeks. Oftentimes, contact had to be reinitiated by me when a promised email or phone call never arrived. Overall, I didn't burn any bridges because I may very well want to use the people I interacted with as contacts for future projects, and it was a good learning experience for me that I'll use in the future. - You maintain complete creative control over every aspect of the book's production, including content, size, formatting, print type, artwork/photographs, etc. I intend to dedicate some future parts of this series of articles to a few specific aspects of self-publishing that are in this list because regardless of which publishing approach you take, you'll have to deal with them, but for now I think this gives you a good idea of what you're in for regardless of which path you follow. From personal experience, I self-published my first book and the overall experience went relatively smoothly, although as I described in Part 5, my quality control wasn't as tight as I would've liked. I buckled down and learned from my mistakes to make my second book much better. I'm also very good at sticking to self-imposed deadlines and I was able to stay on my schedule, but I realize not everyone can do that. One last thing to consider if you go the self-published route is which kind of self-publishing you want to use. I use CreateSpace, which is owned and operated by Amazon. It's what's called a "print-on-demand," or POD, service. Basically, you upload your final manuscript to them, they send you a proof copy, and you go through and edit it. After submitting revisions, they send another proof, and this goes on as many times as you'd like until you approve the final proof, at which point your book goes live. The nice thing about POD companies is that you don't have to hold any inventory...they take care of order fulfillment and print as many copies as are needed on demand to fulfill each order. There are others besides CreateSpace, all with their pros and cons. I like CreateSpace because it allows your book to be sold through every Amazon site worldwide, as well as available to libraries, bookstores, and other retailers. They take care of all of the order fulfillment, but if I want to order copies to sell personally via promotions (like my successful preorder or at book signings) I can get as many as I need and with a big discount. They collect all of my royalties and send me a check every month. I'm also able to publish my titles to Kindle, again sold through Amazon worldwide, which is another nice stream of income. There are some companies that will simply print you as many copies of your book and sell them to you at a bulk price. It's then up to you to sell them yourself. For some, this is the approach they like to go with, although my hesitation to recommend this approach stems from the fact that it's awfully hard to gauge sales, and just because a certain number of people say that they'll buy your book doesn't mean they will. You may end up sinking a large amount of money into getting your book printed only to find yourself sitting on a lot of inventory months later. I know that this part in the series has been quite long, but this is a very important step in the process, and one that can have you going down the rabbit hole wasting a lot of time and energy if you don't do some careful and honest thinking before you begin. Regardless of your choice, whatever ends up being right for you is almost certainly not going to run perfectly smoothly, but with some planning and dedication, you should be able to make it through to the other side satisfied. Remember that, like everything, it's a learning experience and even when the ride gets a bit bumpy, it will only help you the next time. Learning what not to do is as important and beneficial, if not more so, as learning what to do. As long as you continue to work hard and think clearly, you should have your finished product in your hands very soon! Please feel free to ask me any questions you may have about getting your book published...I would be happy to share my experiences and any advice I can offer. If you're a published author yourself, please feel free to offer your advice in the comments section below. And if you disagree or take issue with anything I've said, let's discuss below. For such a revolutionary and continuously revered musician, there are wide variety of books in varying quality on Jimi Hendrix' tragically short life and career. Given his stature, it's quite shocking that there still has never been a definitive biography on the man; there are several good ones (my favorite is Setting the Record Straight by Eddie Kramer and John McDermott), but there doesn't exist that one book that is the consensus final word on Jimi's life. In this new book, Starting At Zero: His Own Story, the true account of Jimi's life is to be told through his own words and to hopefully set the record straight once and for all. Compiled by documentary maker Peter Neal and record producer Alan Douglas, both of whom knew and worked with Jimi, the story of Hendrix' life and career are told straight from his own mouth, using passages culled from interviews, articles, stage banter, letters, and other sources. These were then stitched together into the chronological narrative of his life, akin to putting a documentary film together as analogized by Neal in his introduction. I must admit that when I saw that Alan Douglas was involved, I was uneasy since I'm familiar with his work and the controversy that surrounds it...he's well known for having taken Hendrix session tapes and, after Jimi's death, erasing parts and having new studio musicians overdub parts before releasing them to the public. Bearing that in mind, I decided to give him a fair shake when I began reading the book. The other thing to note is that the book is accompanied by some really nice drawings by legendary comic book artist Bill Sienkiewicz, who's adaptations of famous Hendrix photos into drawings add a really nice touch to the book. The book traces Jimi's life from the day he was born, "age zero," and uses his own words to tell his story in a way that has never been done before. For someone who constantly was writing lyrics, poems, and stories on any scrap of paper he could find, it seems logical that a memoir could be pieced together using source material such as this. The book gets pretty quickly through his unhappy and sad childhood to when he left Seattle and joined the Army as a teenager. Eventually, he is discharged from the Army and bums around America honing his skills as a guitar player and living a real hand-to-mouth existence until he's eventually discovered in New York City by Animals' bassist Chas Chandler, who takes him to England. London becomes Jimi's adopted home city and it is there that he forms the Jimi Hendrix Experience with Noel Redding and Mitch Mitchell. It's interesting to note that, in Jimi's own words, he dislikes his name being the "star of the show" and prefers the band to be called simply The Experience instead. The bulk of the book is made up of Hendrix' words from the heady days of 1966-1970. After his initial whirlwind success and the release of his first two legendary albums in 1967, where Jimi's tone is very upbeat and excited, it turns a bit more dour in 1968 when he's starting to complain of stress and tension within the band. The year-long gestation and recording of the band's masterpiece, Electric Ladyland, results in fissures in the band that come to a head in mid-1969 when the band breaks up. Jimi seemed almost relieved and relished the opportunity to try something new and formed a larger band which debuted at Woodstock. However, as 1969 came to a close, he was hounded by a lawsuit brought up by an old producer he'd recorded for years before he was famous. This led to the formation of the Band of Gypsys lineup and the recording and release of the classic album of the same name. However much he tried, however, Jimi was constantly forced back into the trio format that had made him so successful. Additionally, his profligate spending (along with his manager Mike Jeffrey, who is suspected of bilking him for millions) and the huge cash outlay to build his own Electric Lady Studios in New York City led to Jimi being nearly broke at the end of 1969. By 1970, Jimi was forced to tour relentlessly to recoup all of that money, and his tone gets very desperate and sad. Throughout the earlier parts of the book, he always comes across a bit lonely but happy. By the final year of his life, he complains of being exhausted physically and mentally, feeling isolated and alone, and frustrated that his grand ideas and visions for his music go ignored and he's forced to trot out Foxy Lady and Purple Haze for the crowds who only want to see him play the guitar with his teeth and set it on fire. A couple of heartbreaking and eerie passages have him wishing to just disappear to make music out of the public eye, and right before his untimely death at 27 he presciently states that "I'm not sure I'm gonna live to be 28." Overall, the book is quite enjoyable. I was assuming when I started reading that it was going to feel stitched together and have no flow, but it actually flows quite well. There are some passages that don't make a lot of sense because of Jimi's unique sense of humor and also some of his strange ideas which are down to either his one-of-a-kind imagination, the copious amounts of drugs he consumed, or both. Many of the passages I of course recognized from song lyrics, stage banter from live albums (official and unofficially released), or other books, but the bulk of the material was relatively new to this book. In some cases it was obvious that certain passages were cherry-picked because I've read other sources where Hendrix later contradicted himself, but unless one is a serious Hendrix fan, this won't be noticeable. A thread running throughout the book is how humble, if not insecure and dimissive, Jimi was about his own talents. He constantly extolled the virtues of Eric Clapton, the Beatles (Paul McCartney in particular), and Bob Dylan at the expense of his own achievements, and by the end of the book was almost pleading for help for feeling lost and all alone in the world. To me, these and the other intensely personal passages made the book really worthwhile. The times when Jimi bared his sole range from interesting and amusing to heart-rending and spooky at times and it's here that I feel the documentary approach to creating this book has its greatest impact. The book eventually ends up reading like a film in your mind and the moment it started feeling this way is when I believe it transcended it's otherwise somewhat piecemeal construction. Starting at Zero is probably required reading for any fan of the 1960s rock music legends, and certainly for any serious Hendrix fan. The man left us music that sounds like it came from another planet ("Mississippi blues by way of Venus," as I read many years ago in a magazine) and from this book, one can see that his mind worked in much the same way. The impression is of a kind, imaginative, friendly, passionate man who found himself chewed up, spit out, and worked to exhaustion by an industry he helped build immensely and a manager (Jeffrey) who saw him as little more than a meal ticket. While ultimately the book feels slightly unsatisfying (I wanted a bit more depth the entire time I was reading it), it's certainly the closest we'll ever get to an autobiography from Jimi and for that it's invaluable. (For anyone interested, while there are no footnotes or citations in the book, at the end of the book there is a link to a website that has references to all of the source materials used in the book. There is also an accompanying film that's supposedly due out soon, started in 1967 by Peter Neal and near completion according to the website.). 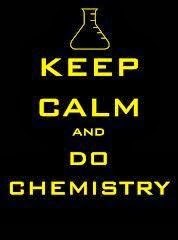 That being said, I enjoy being a scientist in general and being a chemist in particular. I get asked quite often what made me want to go into chemistry, so I thought I'd share it here. Growing up, among my other interests (girls, music, sports, comic books), I always liked to tinker and build things, whether it was models, Legos, or computers. I had a little chemistry set as a kid and also an electronic set that I could use to make different circuits that could power things like lights, small motors, alarms, and so on. When it was time for me to go to college in 1997, I desperately wanted to study music and somehow make a career as a musician, but my parents were pretty adamant that I shouldn't and wouldn't do that. Their thinking was that I could always do music as a hobby or side career for the rest of my life, but I needed to study something so that I would have a career that could pay the bills and with which I could support myself as an adult. At the time, as a 17 year old, I disagreed with their decision, but with 17 years of hindsight I can see that they were correct. In any event, I was accepted to the University of New Hampshire as an undeclared major. However, when I went to orientation before classes started, I decided to declare chemistry as my major for a few reasons: 1) I'd always liked science so I knew I wanted to do something in that area; 2) I had thought of following in my father's footsteps and going to medical school, and a science is usually a required major for acceptance to medical school; 3) my dad had majored in chemistry in college and I'd always found it interesting, so I decided to choose that. Things didn't go so well my first year of college...my grades were fine but I really wasn't interested in or enjoying my chemistry classes that much. That all changed during my second year when I was required to take organic chemistry. My professor was great, very demanding but exceptional in how he taught and how exciting he made the material (he ended up being my thesis advisor for both my BS and PhD degrees). The concept of synthesizing molecules absolutely fascinated me; here was a chance for me to not build models or circuits, but to build molecules. Not only that, but to be successful as an organic chemist relies heavily on creativity and imagination, which I have in abundance (if I do say so myself!) from a lifetime of creating, enjoying, and imagining music, comic books, novels, films, and stories. It only seemed natural for me to gravitate to organic chemistry (and I would like to point out that a disproportionate number of my friends and colleagues who are also chemists are creative types in other fields like I am, whether they be musicians, writers, actors, etc.). And so I ended up working in said professor's lab the summer after my second year of college. I worked in his lab for the remainder of my undergraduate years and even published two journal papers with him. I knew upon graduating in 2001 that I wanted to continue with chemistry and pursue a PhD degree. I continued to work with the same professor at the University of New Hampshire and in December 2006 I successfully defended my dissertation and accepted a postdoctoral fellowship with a professor at Clemson University, which I began in January 2007. A few months in, I ended up in a parallel Assistant Research Professor position, running the day-to-day operations of my advisor's group, both supervisory and administratively, alongside my own research fellowship. After publishing many more papers, learning a ridiculous amount of new things there, and enjoying the experience, my groupmates, and the area immensely, my wife and I moved back to our native New England and settled down as I got my first real job. I had gone through all of my schooling with the intention of a career in academia, but decided during my postdoc that, as much as I liked the environment in academia, I wanted to be an industrial chemist, and it's a decision I haven't regretted one day. (There are many reasons for this decision, and I'm happy to discuss them in the comments section below if asked). I worked at that first company for 3 1/2 years before joining my current company, where I've been for almost 2 1/2 years. One of things that has struck me as each year goes by is not only how much chemistry has allowed me to learn and take on new opportunities that I never would have dreamed of when I started out, but how it really is the central science. I remember hearing that statement, "chemistry is the central science," back in high school but I never paid it too much thought. The reasoning behind it is that every other science can be traced back, at its core, to chemistry. The more I got into my education and later on, my professional career, however, the more I've found this to be absolutely true. Even now, six years into my career, chemistry has taken me where I had never imagined I'd be if you had asked me to predict the future back when I started school. I mean, after finishing my PhD, I ended up in a postdoc where I learned loads of new techniques and got my first experience supervising a lab. The first company I worked at was much of the same in terms of the science, but in an industrial setting where I got to see how the business side of chemistry worked (on a small scale, to be fair, since that was a very small company). My current job, which is at a larger company, is completely removed from anything I'd done before, being mainly more chemical and process engineering. I still am able to apply my chemistry knowledge, but in completely different ways than I ever have before. It's forced me to think about chemical problems differently, and it's also made me learn a lot more about the engineering and scaling up of processes to a production/manufacturing level. I've had the opportunity to travel quite a bit to different customer production facilities and be involved with a technology from small lab scale development all the way up to full-blown production. While I still consider myself only moderately experienced in this field thus far, especially when compared to the extensive experience I have with pure chemistry, the amount of new skills and ideas I've learned in the past two and a half years at this current job is staggering to me. Every day gives me a chance to learn something new and to apply what I already know in a new or different way than I'm used to. It's also made me realize that chemistry is indeed the central science because, apart from the purely mechanical/electrical issues we may encounter with our process, it all can be traced back to chemistry. Perhaps to a different degree given the issue, but it eventually gets back to chemistry just the same. Beyond the scientific reasons why I agree with that old adage, my life and career thus far has shown me that, intellectually, chemistry is also the central science. Between colleagues and coworkers asking for my help in solving a chemistry-related problem they're having, to family and friends asking me why certain everyday things work the way they do, it can all be traced back to chemistry. While it's not a glamorous or vastly lucrative career (although one can do very well at it), it's probably the most vital of all of the sciences. From medicines and pesticides, to polymers, fuels, foods, and everything in between, it's all chemistry. Chemistry gets a bad rap in society and the media because the first thing people think of when they hear "chemistry" are toxic chemicals and poisons. While those are unfortunately an unavoidable aspect of chemistry, that's not what chemistry is. For every weapon and poison that can be made from benign chemicals, there are life-prolonging and life-saving medicines that are made from toxic compounds somewhere along their synthetic path. The challenge the chemistry community as a whole has been dealing with for the last couple of decades is how to change the perception of chemistry in society. Everyone loves cancer-fighting drugs, Teflon, and Velcro, for instance, yet they don't stop to think just where those and countless other advancements came from. A final example: my current job involves developing new metal coatings that are more electrically conductive, more durable, and cheaper than the currently used precious metals that are the industry standard. These coatings will be used in everything from cell phones, tablets, iPods, and computers to airplanes, cars, and military applications. And it's all based on chemistry. If there was ever a final word to show how chemistry is central to everything, I think this example is as good as any.